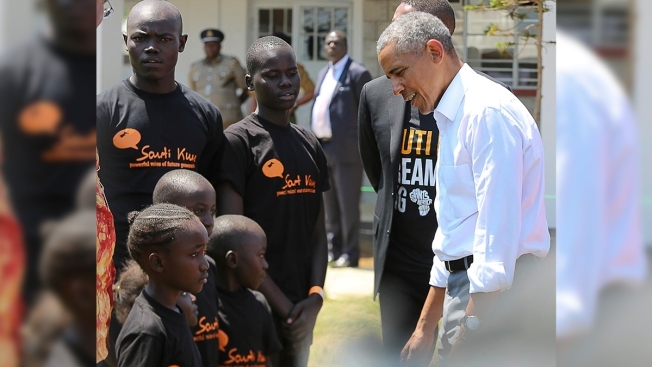 Former US President Barack Obama, right, talk to children in Kogelo, Kisumu, Kenya, Monday, July 16, 2018. Obama is in Kenya to launch a sports and training center founded by his half-sister, Auma Obama. Former U.S. President Barack Obama Monday praised Kenya's president and opposition leader for working together but said this East African country must do more to end corruption. 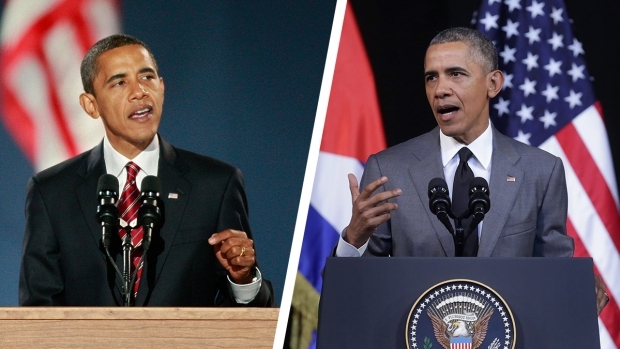 Other challenges facing Kenya, Obama said, are tribalism and the need for better education. Since visiting Kenya as senator in 2006 and then as president in 2015, Obama has passionately urged Kenya to tackle its endemic corruption and problems surrounding the divisions between this country's ethnic groups. In 2006, he angered the government of President Mwai Kibaki when he gave a talk about corruption at the University of Nairobi. The government spokesman responded calling him "an inexperienced young man who could not teach Kenya how to manage its affairs." Pete Souza captured some of the most iconic images during former President Barack Obama's presidency. He talked with News4's Barbara Harrison about what it was like photographing the president during some of his toughest and best moments. Many Kenyans consider Obama native to this country — a local kid made good — and bask in the glory of his success, despite the fact that he never lived in Africa. He was born in Hawaii, where he spent most of his childhood raised by his mother, a white American from Kansas. He barely knew his father for whom he was named, Barack Obama, an economist.